Sen. Bernie Sanders and Sen. Ted Cruz. It’s time to talk about the week that was in Texas politics. 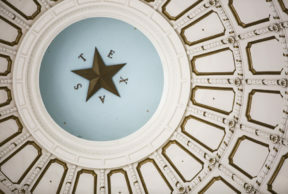 Texas Tribune Reporter Patrick Svitek spoke with the Standard today about what’s been going on across the state. Earlier this week, there was a showdown on CNN – Bernie Sanders v. Ted Cruz. The two senators debated live about the future of healthcare. Would You Take a Ride on a Self-Driving Bus? Ninth Circuit Upholds Block to the Travel Ban. How Are Texans Reacting? These Muslim and Christian Women Sat Down for Lunch as Strangers. They Left as Friends. Typewriter Rodeo: Never Read The Comments!